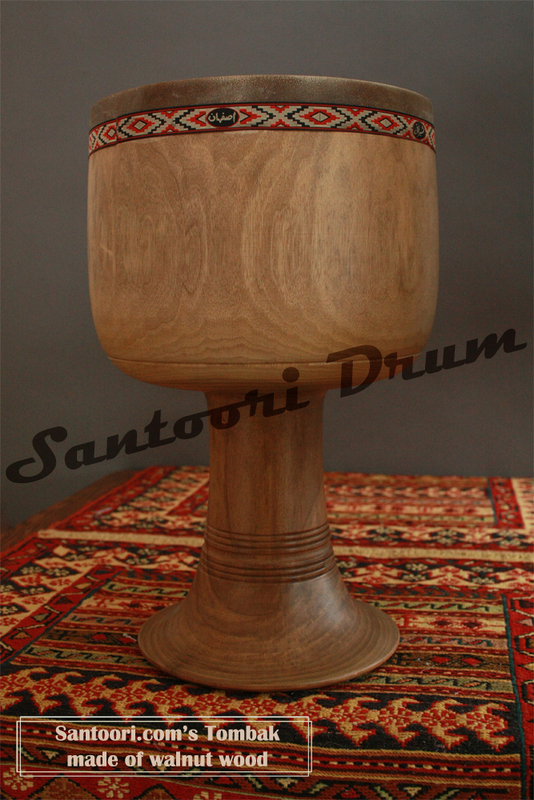 Zarb no.3 of Santoori.com is one of the most precious goblet drums, which have been sold over this store. 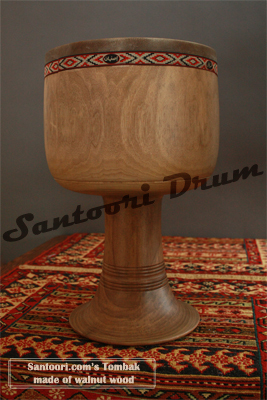 These days, where finding Tombak drums made of one piece wood is going to be like finding a treasureor and seems to be very strange, Santoori provides the following unique drum for the fanciers of Persian drums. The drum weighs 3.65 kg, which is a typical character of high-density of walnut wood, made in Isfahan by the renowned master Tombak maker Shirani. The surface of the drum has been silk-matt glazed and with a thin well sounding camel skin covered. 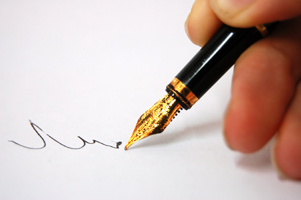 Just a note to say thank you for the zarb, it arrived yesterday. 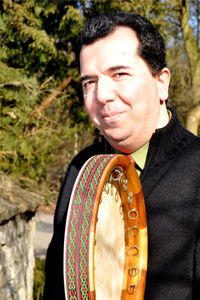 Zarb (tonbak or Tombak) is the chief Iranian goblet drum. Santoori.com now after serving for more than 2 years serving only picked up instruments was very committed to reproduce the old version of Tombaks, which were not mass produced. After many times varnishing of the instrument in thin alcohol-based lack layers occurred the final varnishing process.